If you signed your child up for ski school, arrive with enough time to get them settled in without feeling rushed. Don’t try to make first chair when skiing as a family. Rushing only puts undue pressure on you and your child, and takes away some of the fun. 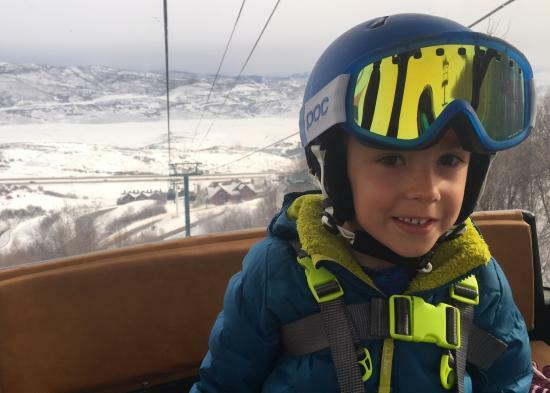 My son loves when we take chairlift selfies or photos and videos of him skiing. We watch the videos when we take breaks. As the day progresses, pay attention to your child&apos;s fatigue level and call it quits before a meltdown arises. Whether you plan to get ready in the resort’s parking lot or lodge, or take the free bus from your hotel to the resort, have your child wear comfortable shoes/boots. 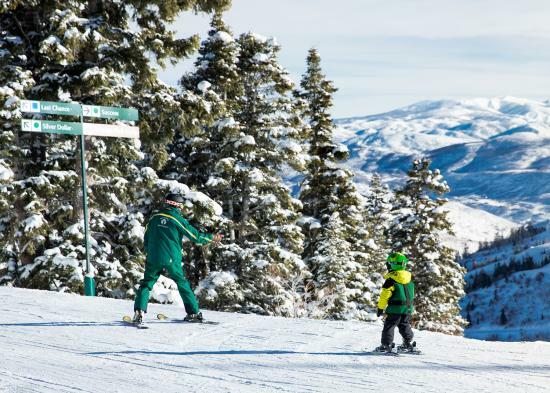 You may also want to wear shoes to and from, especially if you’ll be carrying a child— which is tough to do in ski boots! Make sure shoes/boots are waterproof, since wet socks result in cold feet and will shorten your ski day significantly. Both Deer Valley Resort and Park City Mountain Resort have day lockers where you can stash shoes while you ski. Dress your child just like you would yourself— with multiple, thinner layers. Start with a synthetic base layer, a warmer (fleece) layer, a vest if needed, and a warm wind and waterproof jacket and pants. Bib snow pants or one-piece suits are great for younger kids because they eliminate gaps for cold air to sneak through. Your child is going to spend far more time in contact with the snow than you are, so it’s a good idea for their outer layer to be waterproof. Also, make sure that your child’s helmet and goggles fit well, with minimal gaps between them. 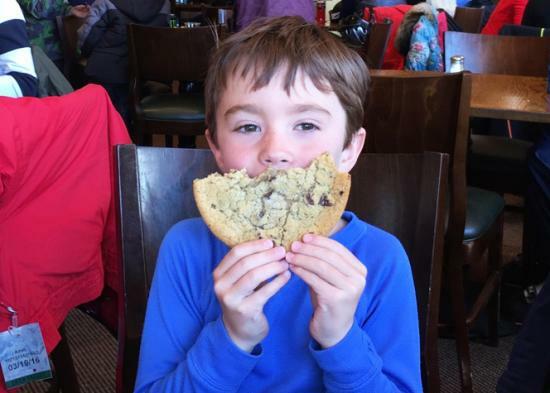 Your child&apos;s comfort and safety is a pivotal aspect in providing them the chance to fall in love with skiing. Wear a small pack to carry snacks, water, extra layers, spare mittens, sunscreen, and small games like Uno or a deck of cards. It is easy to become dehydrated at elevation and taking a few sips between runs can go a long way in preventing headaches and altitude sickness. I prefer to pack snacks like trail mix, which don’t get smashed. Our family enjoys treats between runs and after wipeouts, so one of the most important items in our pack is a small bag of Swedish Fish. A great way to balance your desire to cruise the mountain with spending time together as a family is to sign your child up for a morning lesson. That gives you time to ski the fresh snow before picking him or her up for a delicious, on-mountain lunch. After lunch, when you return to the slopes, it’s fun to give your child the opportunity to take the lead and show you what they learned that morning. Let him or her decide the trails and follow along behind them. As you head out for a family ski day remember that skiing is fun. There’s no need to stress about progressing to a harder trail each day. Building his or her confidence is key, and I remind myself that, of all things, it’s the moments spent with my family that matter most.